PMR System Group is a leading manufacturer of filling capping and labelling machines; all solutions that provide an extremely positive contribution to companies that exploit it. The wide range of PMR proposals is addressed to the whole productive sectors and meets the most varied technical requirements. All components of our machines are completely “Made in Italy”. No business district is precluded: from the industrial to the artisan one, from the serial to the prototype, all for a valid solution, standard or customized. We cover all sectors: from food to chemical, from cosmetics to construction industry, from pharmaceuticals to technology. Be it small, medium or big industry, for our Group the importance and value of a project are exactly the same, without any kind of distinction. In 1971, with a brilliant idea, Cosimo Rubino, among the first pioneers, draws a firm belief and the essential power to usher a new era for the packaging industry in Italy. The founder and patriarch of the family is still firmly at the helm of the company. In recent decades many steps marked the company’s growth, continuously distinguished by research and technical innovation. From LABELLING SYSTEM division, which includes all the proposals relating to labelling systems, marking and coding products, bench and industrial applicators, to EXPERIENCE department, which includes all solutions regarding dosing, filling, linear and rotary capping machines, with many customized solutions. To date, the constant technical sales development allows us to combine in a single solution design, production, sales and technical assistance with new protection formulas to Italy and abroad. Precise and accurate answers, this is the first of our objectives which is called the whole company staff; harmony, full cooperation, skills, enthusiasm and passion are the key factors for the success of our Group. The commercial organization, with direct contact or through the presence of agents and authorized distributors, covers the entire Italian territory and allows us to reach all continents. The experience, knowledge and abilities of our designers and engineers enable the constant monitoring of production processes, accordingly with the established delivery terms. 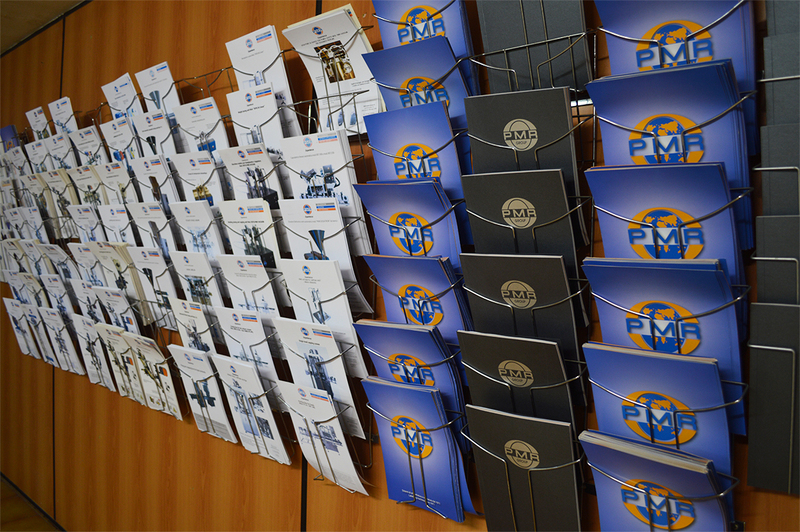 Through national and international exhibitions PMR always offers novelties, accepting tougher challenges aimed at a constant and continuous improvement. The quality of all raw materials and components used in the production processes of our machines are tested guaranteed and rigorously Made in Italy. Our solutions are designed and built to offer the end user maximum reliability and simplicity of use. From design to construction, all phases of construction of our equipments take place in our plant. Our packaging solutions combine high quality at a very competitive price.